In emergencies, ants make a bridge of alive ants. 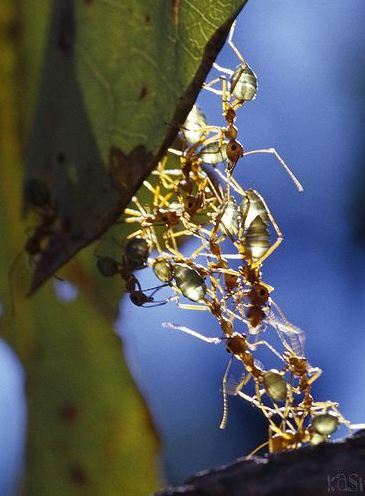 These ants bear severe pain to death for the sake of cooperation and sacrifice to ensure the survival of the colony…….. But, what about us humans??? Shouldn't we follow the example of such creatures and help those who really need it??? ?